Yes, it is indeed an odd-shaped cross. 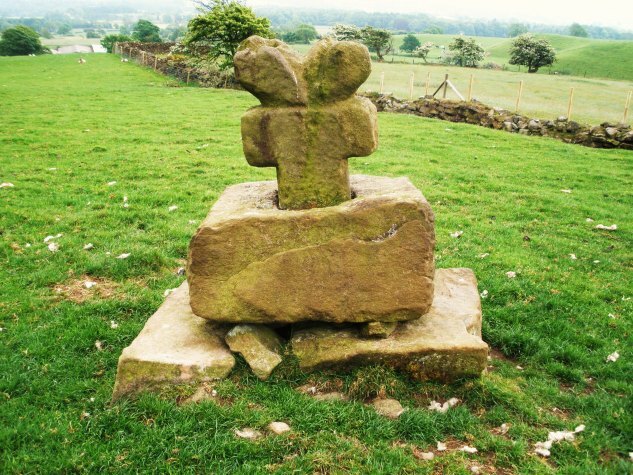 There is a similar one at Doffcocker near Bolton, though that is a much taller cross. The cross-head is very similar. Sheep and cattle often use standing stones and crosses as rubbing posts!